Your quick and easy guide to DIY Kombucha is here! 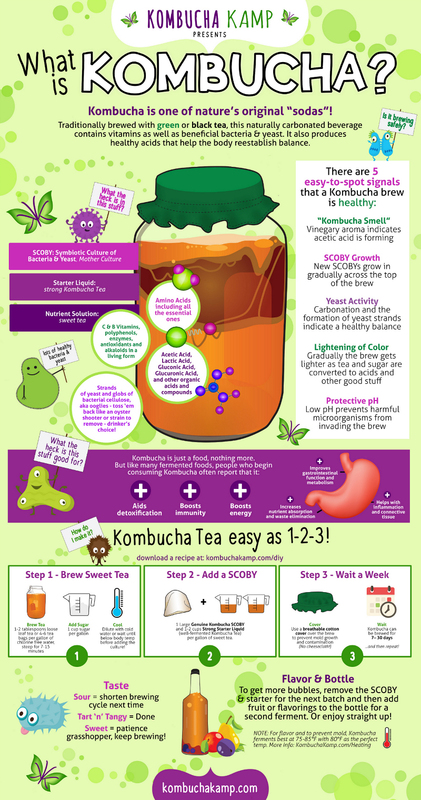 Kombucha is one of nature’s original “sodas”! Traditionally brewed with green or black tea, this naturally carbonated beverage contains vitamins as well as beneficial bacteria and yeast. It also produces healthy acids that help the body reestablish balance. Strands of yeast and globs of bacterial cellulose – aka ooglies – toss ‘em back like an oyster shooter or strain to remove – drinker’s choice! What the Heck is this Stuff Good For? 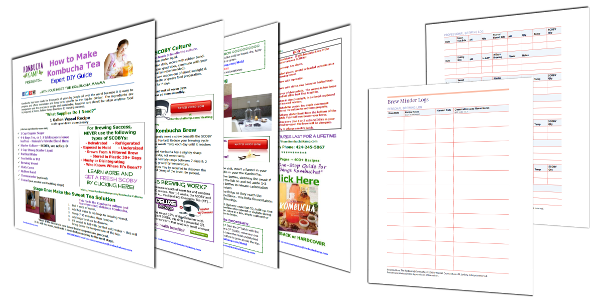 You will also receive the kombucha recipe newsletter and free e-book. Unsubscribe at any time. This Kombucha Recipe and DIY Guide includes an easy to follow Kombucha Tea Recipe explaining how to make kombucha tea and kombucha brewing tricks. If you want to know how to brew kombucha, these kombucha recipes will have you making kombucha tea (homemade kombucha tastes best) in no time. Although it seems complicated, making DIY Kombucha at home is actually really simple! You start by brewing tea, and then add sugar, SCOBY, and starter liquid. Then let nature do the rest! 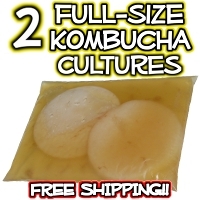 Share fresh “baby” SCOBYs with 1-2 cups of strong starter liquid (mature Kombucha Tea) along with very clear, thorough instructions for how to brew kombucha. 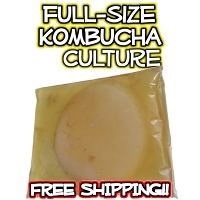 If you aren’t able to, recommend a reputable source—like Kombucha Kamp! Sugar–most commonly used is evaporated cane juice but many types of sugar will work for brewing Kombucha. 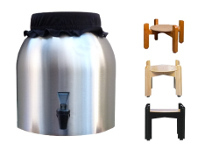 Batch Brewing One Gallon of Kombucha Tea – Easy as 1-2-3! Now that you know the golden rules and have your supplies and ingredients prepared, it’s time to get to the fun part. Use 1-2 tablespoons of loose leaf tea or 4-6 tea bags per gallon. Use filtered, chlorine-free water. Steep for 7-15 minutes. Use 1 cup of sugar per gallon of tea. 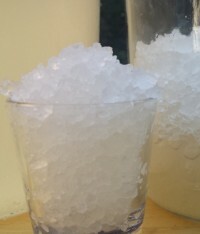 Dilute your sweet tea with cool water (use less water in the initial brewing process if using this method so that you still come out to a gallon) or wait until the sweet tea cools to below body temperature before adding the culture to avoid harming the bacteria or yeast with too much heat. 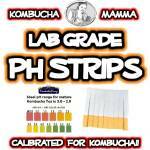 Add 1 large genuine Kombucha SCOBY along with 1-2 cups of strong starter liquid per gallon of sweet tea. Use a breathable cotton cover over the brew to prevent mold growth and contamination (no cheesecloth!). Kombucha can be brewed for 7-30 days…and then repeat! Each batch is different and conditions vary. Only your taste buds can tell you when the brew is ready, so after 7 days, taste regularly until it reaches the flavor you like. Then start the process again when you’re ready for another batch! When is Your Kombucha Tea Ready to Drink? Taste your Kombucha once a week to see if it’s ready. Sour = Shorten brewing cycle next time. Tart ‘n’ Tangy = Done. Sweet = Patience grasshopper, keep brewing! If your Kombucha isn’t bubbly enough, first remove the SCOBY and starter liquid for the next batch, and then add fruit or flavorings to the bottles prior to filling them for a second ferment. Or simply enjoy it straight up! Think you have found mold growing? Usually what is mistaken for mold is normal but strange looking SCOBY or yeast growth. Mold on Kombucha looks much like mold on bread or other food: it is always dry and fuzzy and sitting on top of the culture, usually in circles and colored white, black or green. Brown yeast strands can float in the liquid or embed in the culture, causing dark spots of SCOBY that may look unusual, but unless these spots are dry and fuzzy, they are unlikely to be a problem. 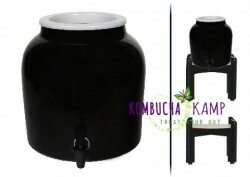 See the Kombucha Kamp Mold Gallery here for more information. If you truly do have mold, it is recommended to throw out the whole thing. Mold growth is very unlikely in good conditions, but if it does the most likely culprits are weak SCOBYs/starter liquid or low temperatures. What is Kombucha? Kombucha is a fizzy drink made with black tea and sugar, which is fermented as all the healthy bacteria and yeast in the SCOBY and Starter Liquid feed on the sugary mixture. 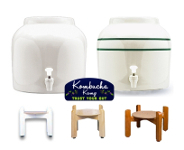 Learn more about what Kombucha is here. What is a SCOBY? A “Symbiotic Culture Of Bacteria and Yeast” is a pellicle of bacterial cellulose. 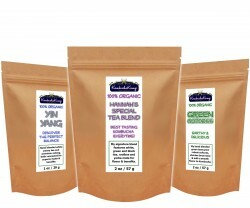 It is home to the healthy bacteria and yeast, which are responsible for fermenting your tea. What are the benefits of Kombucha? One of the best things about Kombucha is that it is fermented. Fermented foods and drinks like Kombucha help to keep your gut healthy, which is surprisingly linked to the rest of your health. Learn more about the benefits of Kombucha. What’s are some other fermented drinks? Kombucha is one of several fermented drink options. JUN tea, milk kefir, and water kefir are all fermented drinks to try. What is continuous brewing? 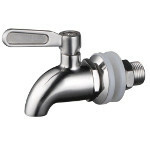 Continuous brewing is the most versatile brewing method and makes use of a larger vessel (2-5 gallons) with a spigot. With continuous brewing, you make one large batch of kombucha, and when it’s ready, easily decant no more than 1/3 of it into bottles or simply pour yourself a fresh serving anytime. The SCOBY and mature kombucha remain in the vessel, so all you have to do to keep the brew going is replenish what you harvest with more sweet tea. Learn more about continuous brewing. Continuous Brewing vs. Batch Method – Batch brewing works great too, but the continuous brewing method comes with several additional benefits. 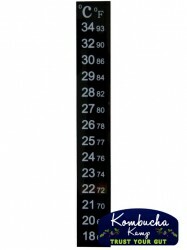 It is the safest method as the risk of mold and contamination is greatly reduced. Cleanup, maintenance, and access to the brew are also much easier. Because of the stronger ratio of starter liquid that remains in the vessel after the first batch, you can brew more kombucha in just 2-5 days. With the batch brewing method, you have to start the whole process over again. Continuous brewing also saves money! Not only is this method more efficient overall, it also lends itself to the best flavor (in our opinion) and allows healthier acids to develop over time—ones that don’t have the opportunity to develop with batch brewing.